Here are 29 of the easiest and most delicious keto casserole recipes that you can make! Just assemble everything into a baking dish, pop it up in the oven and voilà! You now have a delicious meal prepared with minimum effort. Not only are these casseroles budget-friendly, but you also get many portions and since the leftovers are absolutely delicious, you will end up wasting nothing. I like the leftovers of some of these casseroles even more than their freshly out the oven versions. Low carb meatball casserole, the next day, reheated in the oven? Heavenly! And of course, you can prep these low carb casseroles and store them in freezer-friendly containers. I use freezer-safe and preheated oven-safe glass containers for this. They are the easiest to wash and they fit perfectly in my freezer. Believe me, you will absolutely love the feeling of grabbing one of these and just putting them in the oven. If you came here because you are meal prepping keto casseroles, you really deserve a big pat on the back! Good for you! 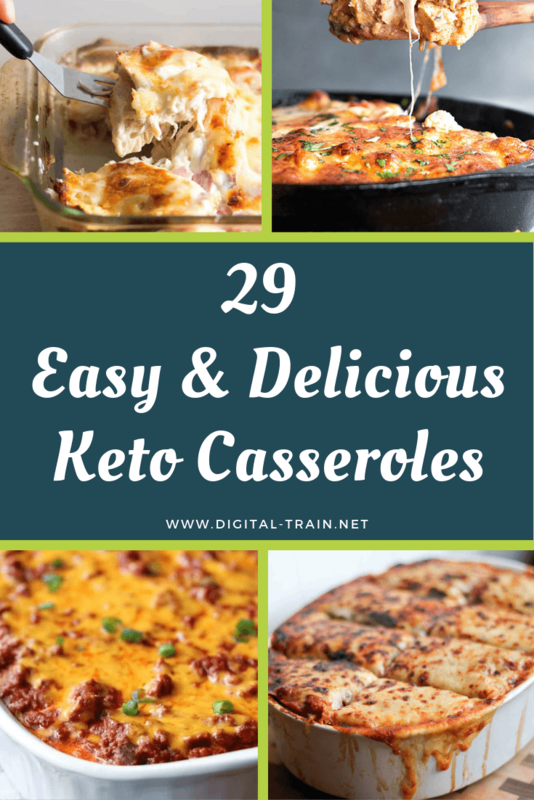 Planning and preparing ahead low carb casseroles will help you stay in ketosis, feed your family and what I personally believe is the most important part, save you from having to spend most of your will power on preparing 3 meals a day. There is no worst way of being unproductive than to have to make so many microdecisions in a day. This will eventually drain your brain´s capacity to focus on your kids, your online biz, your side hustle, hobby or just keeping your diet on track. Interested in a complete guide on what the keto diet is and pro tips on how to best apply it? Check out this page for a complete ketogenic diet guide. So, here are my personal favorite keto casseroles.